Many companies deal with the hassle of lost or untrackable inventories, high distribution costs, and an overall poor fulfillment process. Such issues can quickly take a toll on a company’s reputation. Carefully track the materials from the time it is received in our facility to the time it is shipped out, even down to “each” unit of measure. Monitor our service rate and provide our customers with on-time delivery data, service failures, damages, etc. Know our activity, such as pallets handled, pieces packaged, deliveries completed, number of transactions, and labor hours related to the handling of your products. Comparing the cost of leasing space and handling your product yourself versus using a 3PL. Adding additional space to your existing facility. Turning over your storage and handling requirements to a 3PL. 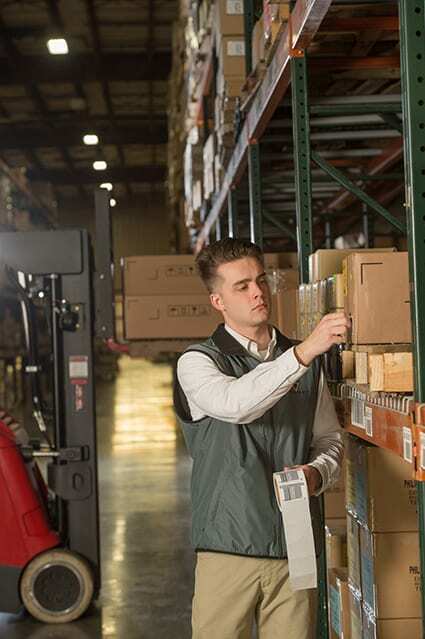 We have 6 warehouses/distribution centers throughout Alabama and Florida. Want to know where your inventory is at all times? There’s no need to deal with the hassle of lost or untrackable inventories. Request a FREE quote to find out how you can better manage your inventory from the beginning to the end of the supply chain. Our facilities encompass over 1.7 million square feet, so we are able to accommodate customers of all sizes. Our facilities are structured so we can meet the needs of our customer unique demands. With distribution centers in six different locations across Alabama and Florida, we are strategically located close to ports and manufacturing facilities for many different industries. We invest in technology and the training of our professionals so we can accurately store and care for your product. 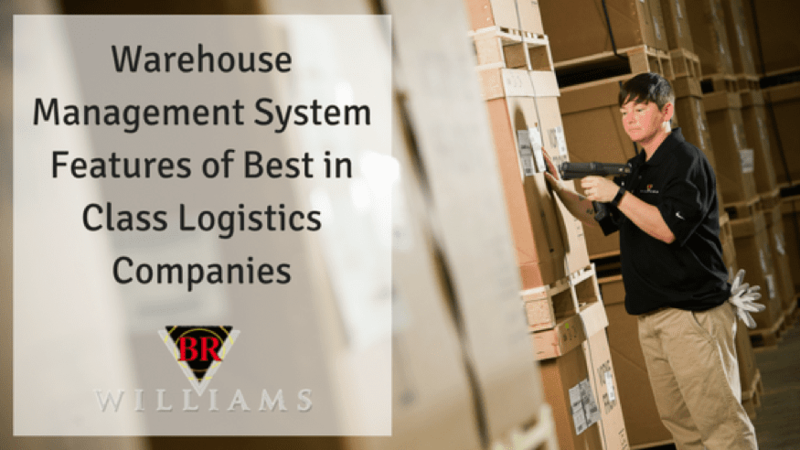 That includes the most advanced Warehouse Management System so we know where your product is at all times. We consistently receive over 99% inventory accuracy. BR Williams has never missed a shipment or has not had any discrepancies that I am aware of when we send kits to the modification team. The kits are always delivered on time and precisely where they are needed. You have also been very flexible on what is requested of you even at a moment’s notice. You have never failed. As a formerly retired warfighter, I truly appreciate what you do for the soldier. You are a key player in the success of our program that is why we never fail. Again, thank you for what you do and I look forward to doing my yearly inventory already. What you and your team do is remarkable. I truly enjoy coming down to do our yearly inventory. Your facility is always very well organized and clean in a professional way. I have been to other facilities but none can compare to what you do. Your folks are always on top of things and when you ask them where things are they are able to take you right to where we need to be. This to me says a lot about you and how you run your operation, a true professional! The service and support that our company gets from BR Williams is vital to our day to day business operations. Without this service there is no way we could maintain the level of support we do with our customers, nor the on time deliveries we provide. BR Williams has truly been a blessing to our company and is integral in the growth we have experienced over the past several years. Jon C. Douglas, Associated MetalCast, Inc.
Are you ready to save on your warehousing & distribution services? Request a FREE, no-obligation quote to find out where you can cut costs in your current process and which solution best fits your needs. Is BR Williams asset based or non-asset? We are asset-based with our own trucks and warehouse space. How much cargo liability insurance do you have? BR Williams carries up to $500,000 in liability insurance. BR Williams is a dry van only fleet, but we do move flatbeds everyday with our contract partner carriers (Logistics Division). Do you have cold storage in warehousing? No. However, we do broker cold storage trucks through our Logistics Services. Do you have load tracking? Yes. Our customers can easily track their shipments on our website: Here’s load tracking and inventory tracking. 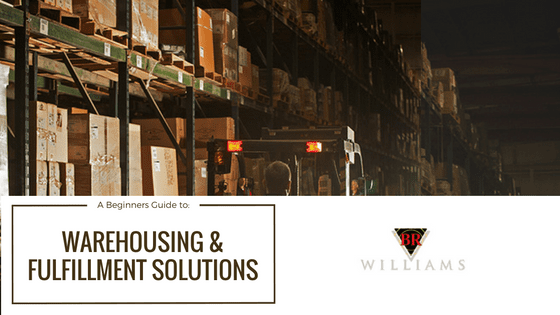 Are you a bonded warehouse? No. BR Williams is not a bonded warehouse. Can I view my warehouse inventory online? Yes. 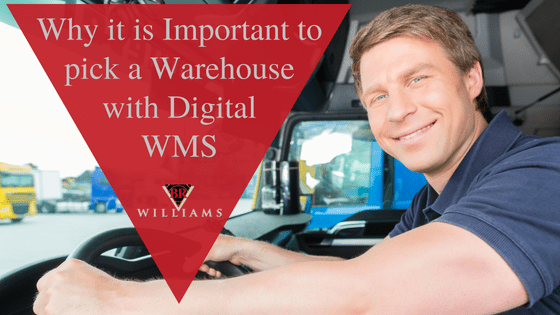 Our customers can access their inventory by logging into our WMS Portal on our website. 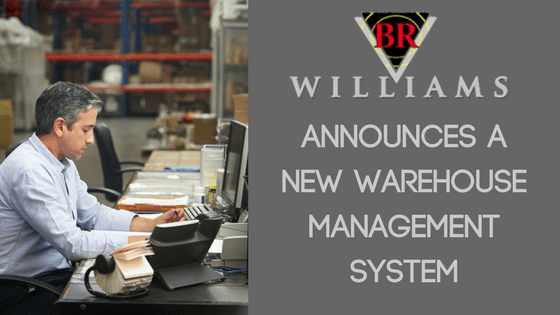 Is BR Williams Trucking, Inc. ISO 9001:2015 Certified? YES! ISO 9000 is a series of quality standards that outline the requirements for quality management systems. They were developed to promote worldwide standards for management of quality. We received our initial certification April 10, 2002 by our registrar NSF International Strategic Registrations, LTD. and are currently in good standing. An auditor from NSF-ISR conducts surveillance audits and Re-assessment audits periodically to examine our quality system for compliance. The certification is utilized within BR Williams to develop, implement, and improve the effectiveness of the processes and procedures to assure consistent quality service to our customers. 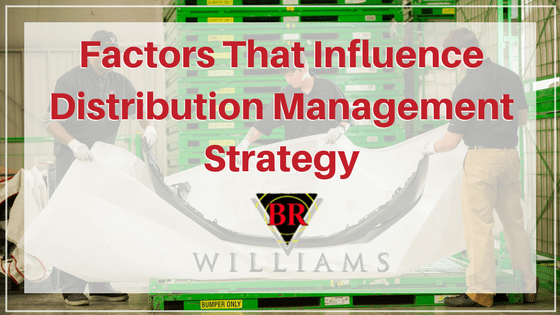 Want to improve your warehousing & distribution process? BR Williams is a complete supply chain service provider serving the USA. We began our trucking division in 1958 and expanded into warehousing/distribution in 1992. Our family-owned business now have six distribution centers located across Southeast United States. 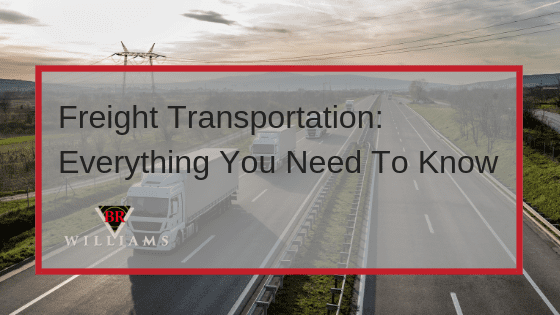 We provide top notch truckload service, freight transportation, 3rd-party logistics (3PL), distribution management, warehousing, cross-docking services, intermodal trucking, and drayage services. With locations in Mobile AL; Piedmont, AL; Tallahassee, FL; Anniston, AL (two facilities); Eastaboga, AL; and Oxford, AL, BR Williams’ distribution network supports over 50 customers and another 2,500 in the Trucking and Logistics divisions. The industries we serve include: automotive, defense, home improvement, education, food raw materials, textiles, chemical, industrial packaging, metals (finished goods), highway safety and more. We are held to highest level of standard under the 9001:2015 Quality System Registration and are constantly improving and streamlining our policies and procedures. Learn more by requesting a free quote or by contacting us today!